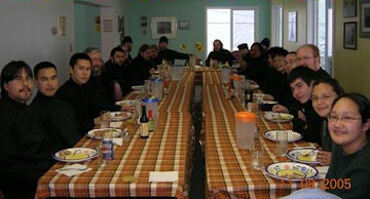 Parishes, groups and individuals are able to sponsor seminarian students attending St. Herman Theological Seminary in Kodiak. See the sidebar at right to meet our individual seminarians and read their biographies. Communicate with sponsor during the adoption period regarding course of studies, progress of education, information on family and lifestyle, use of funds being provided, etc. Maintain studies in such a way that graduation will be completed within 4 years. 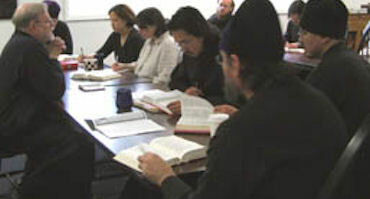 Comply with St. Herman Seminary "Policy and Procedures" as established in the seminary "Handbook". *Communicate during the seminary year with adopted seminarian as is convenient. Provide support for necessary incidental items through a contribution based on a single sponsorship ($1,200 per year) or a family sponsorship ($2,400 per year). The sponsor program will not exceed 3 years (2nd, 3rd, 4th year) of the total 4-year program of studies. A single sponsorship is based on $100 per month and a married/family sponsorship is based on $200 per month for 12 months each year. Commitment is for 3 years to the project. Depending on situations of the seminarian, it is possible the placement may not be for the same seminarian every year - Example: Student may not complete studies or might advance and graduate before the 3-year time frame. The first year of studies is not sponsored. 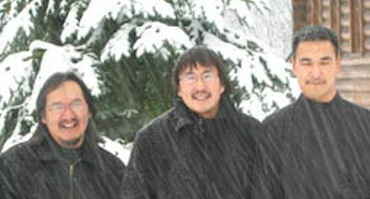 Make sponsorship contribution directly to Outreach Alaska according to the "Sponsor Agreement". 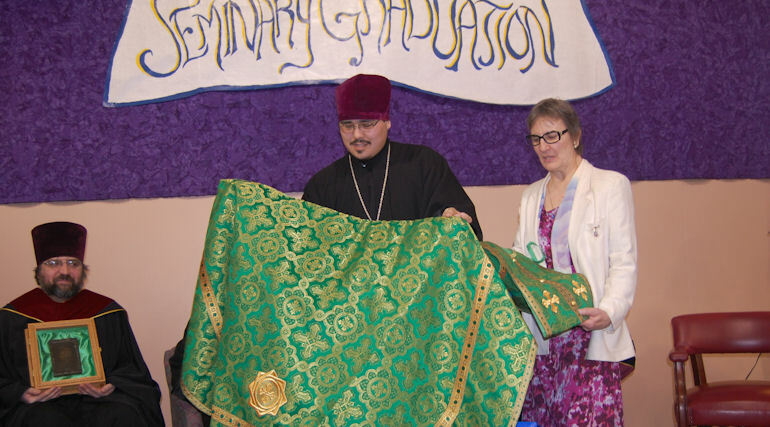 Address any concerns regarding the student's progress directly to the staff of St. Herman's Theological Seminary or Outreach Alaska Coordinator. If the sponsored seminarian is ordained to the Holy Priesthood, it will be customary to purchase a new set of priest's vestments as an ordination gift presented at commencement. 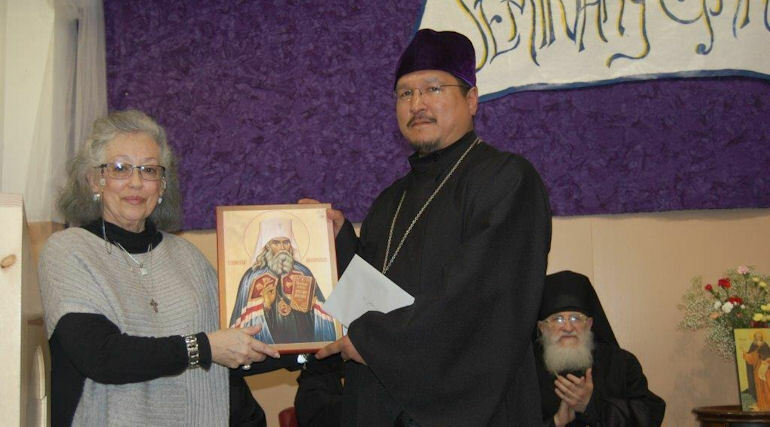 It is customary to reimburse Outreach Alaska for the costs of a large sized icon representing the sponsor parish/individual as a commencement gift. *Teens and other youth are encouraged to participate in the correspondence with adopted seminarians. 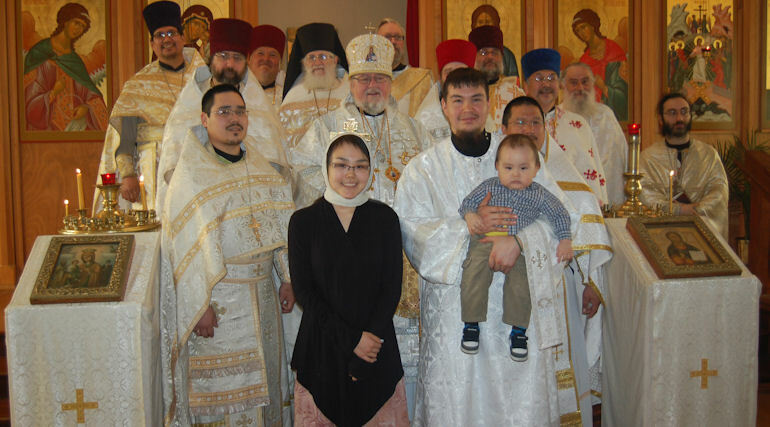 Announce name and location of sponsor as adopted seminarian is graduated. If attending the graduation ceremonies, sponsor will be recognized and be included in the activities with the seminarian. Assist adopting sponsor in locating lodging when visiting seminarian or attending graduation ceremony. 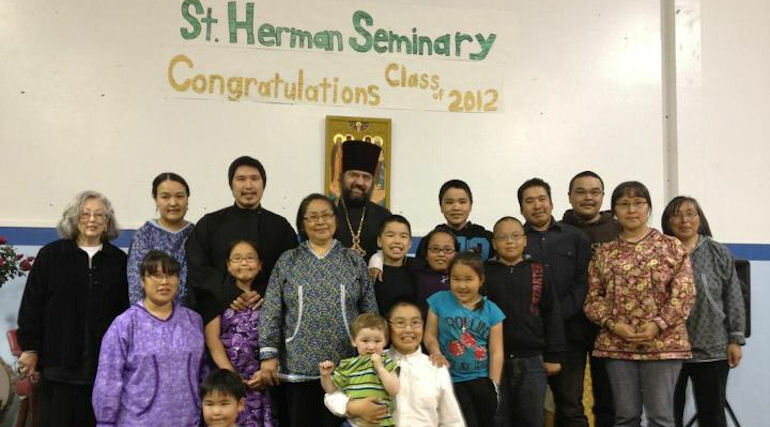 Include "Adopt A Seminarian" Dinner as a part of the Annual St. Herman Seminary Graduation Activities. Provide "Sponsor Agreement" to sponsor at time of assignment. Establish and maintain responsible accounting procedures of all sponsor fees. Make monthly payments directly to seminarian except for when classes are not in session - summer months. During that time, payments will be held for distribution at the beginning of the new seminary year. This will be used for returning travel expenses from villages into Kodiak or other incidental start up needs of the seminarian for the new year of studies. Project Coordinator, with input from seminary staff, will determine adoption assignment. Provide pictures of seminarian and family (if applicable), history, and brief bio to accompany "Sponsor Agreement". Work in partnership with sponsor regarding student's progress and any problems if they should arise with the sponsor or the seminarian. Make arrangements and coordinate the purchasing of priestly vestments for ordinations and icons for commencement gifts. Provide commencement invitations for St. Herman Seminary and all graduating seminarians participating in the "Adopt a Seminarian" project. Provide a written invitation to sponsor for the seminarian's graduation. 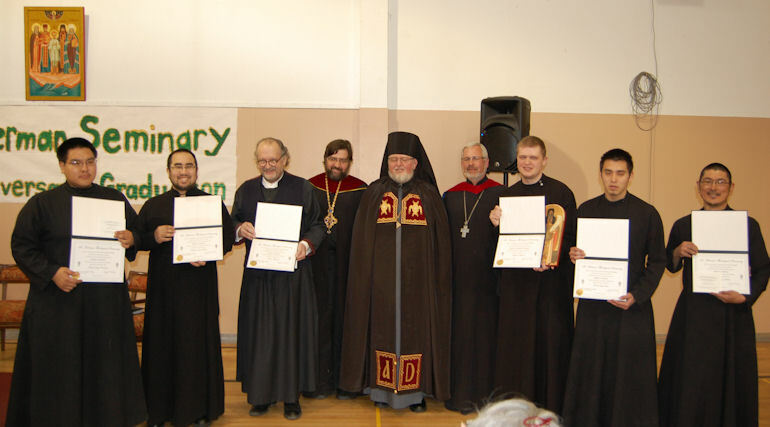 Provide the sponsor a "Certificate of Graduation" once the seminarian has successfully completed studies. "Those who seek the Lord shall not lack any good thing." Click a tab below to meet our seminarians.